A federal court has ordered the temporary shutdown of a real estate operation called “Sanctuary Belize,” among other names, the Federal Trade Commission said on Thursday, saying it was a scam that has cost investors more than $100 million over more than 10 years. The FTC has asked the U.S. District Court in Maryland to permanently close the companies. The agency said in its complaint that Andris Pukke, who it called a “serial scammer,” had joined with others to sell lots in a luxury development in the Central American nation of Belize, promising it would soon have amenities like a golf course and casino that have not been completed. Efforts to reach Pukke, Sanctuary Belize and related companies for comment were not immediately successful. Pukke began selling the lots in about 2005, advertising on cable news channels, the FTC said. There are more than 1,000 victims who may have paid as much as $500,000 outright or made down payments, the FTC said in its complaint. Part of the time Pukke headed the scam, he was in prison, the FTC said. He was sentenced to 18 months in 2010 following clashes with the government over another company, this one called AmeriDebt, which the FTC said had cheated debtors. Pukke was found to have concealed assets that he had agreed to turn over. Belize has been on the international news on multiple occasions for various reasons stemming from tourism to global representation and a hideaway for criminals. Tonight’s story is not about any criminal hiding out in Belize but rather it is about a set of schemers who used Belize as their marketing tool to obtain over one hundred million dollars from over one thousand US investors. The Federal Trade Commission in the United States has temporarily shut down the operation via an order from the federal district court in Maryland. The real estate investment development in Belize goes by the names, Sanctuary Belize, Sanctuary Bay and/or The Reserve. A LIVE press conference was held this morning by the FTC at their headquarters in Washington DC. The conference was led by Jim Kohm, Associate Director of the division of enforcement. The promises made to the investors are extremely outrageous as mentioned by Kohm. We went looking to see what exactly they were up to on the digital market and here is a snippet of a 30-minute infomercial circulating internationally for Sanctuary Bay. One hundred million dollars – it is quite a very attractive sum to have collected on false promises. So, where exactly did all this money go? Kohm says they have been able to track some of it. While the FTC is trying to help investors get back their monies, they have taken swift court action through the court against the players. JIM KOHM :The receiver has taken control of the operation and a preliminary injunction is currently scheduled for November 19th. The court actions so far is that culmination of an exhaustive investigation conducted over the past year. The FTC filled more than 14,000 pages of evidence included testimony from insider telemarketers, the defendants accountant, internal email from the scheme, numerous undercover calls by FTC investigative staff posing as prospective buyers, expert testimony and the testimony of people who have lost tens and sometimes hundreds of thousands of dollars. Love News reached out to the Attorney General, Michael Peyrefitte to discuss the matter but he has yet to respond to our request. There is huge news coming from the Federal Trade Commission in the US tonight - and it has to do with a mega project in southern Belize called Sanctuary Development. It is being called the “the largest real estate fraud the agency has ever uncovered in its history.” The civil action names Belize’s Atlantic International Bank - among many other companies as part of the scheme. Local Manager, Johnny Usher is also named. He today told us he has no comment until he speaks to his attorney. Investors were promised dream retirement homes in a community developed with a raft of luxury amenities, including an American-staffed hospital, “world-class” arena and an international airport. They were also promised that their lots would double or triple in value in two or three years. But the scheme was run by a string of American scammerS, and only about 10 percent of the lots bought by investors over more than 15 years were ever developed. A civil complaint taken out by the FCC names more than two dozen people and companies including Atlantic International Bank which the FTC says is the first foreign bank it has ever brought an action against. According to the civil complaint, Atlantic International quote, “jointly markets with Sanctuary Belize…urged (Sanctuary Belize) telemarketers to sell its banking services to American consumers as part of the…sales.” End quote. The civil complaint adds, “Atlantic International has assisted and facilitated in the TSR violations this Complaint sets forth….At all times material to this Complaint, Atlantic International knew, or reasonably should have known, that its acts in furtherance of its unlawful coordination with SBE in violation of the TSR substantially affect the United States.” End quote. We’ll keep following this story. The United States Federal Trade Commission (FTC) announced today, Thursday, that it has uncovered the largest international real estate fraud in its history. Now, this isn't the Atlantic Bank we're all used to - it's a related company under the same ownership group. But it operates in the offshore sector - meaning Belizeans can't have accounts there. It only offers banking services to foreign consumers, mostly Americans. But, it is tied to the domestic Atlantic Bank - which is currently the biggest bank in Belize. And what the bankers call "reputational risk" is a serious problem. That's because Atlantic is one of the few banks which still has a correspondent banking relationship with the all-important Bank of New York Mellon. But now that Atlantic International has become the first foreign bank which the FTC has ever brought an action against, the Bank of New York may consider reviewing its arrangements with the domestic Atlantic Bank - which would spell crisis for Belize's banking sector. That's because of what bankers call "contamination" - which is that any suggestion of less than above board banking practices - can cause related parties to be tainted. This is a very real risk because the FTC says that Atlantic International Bank assisted and facilitated the Sanctuary Belize scam. It's a cause for great concern throughout the banking sector - and today the Deputy Governor of the Central Bank Kareem Michael told us that the Central Bank is monitoring the situation very closely and is in touch with all parties including the FTC. It also caused many Americans who have accounts at the Bank to get jumpy because of frozen accounts. So, a lot of uncertainty tonight - and, as we said, we're waiting for a comment from the Atlantic Bank or the Central Bank. We'll keep monitoring the situation. And today a local attorney took a suit against Sanctuary Belize to the Supreme Court of Belize. 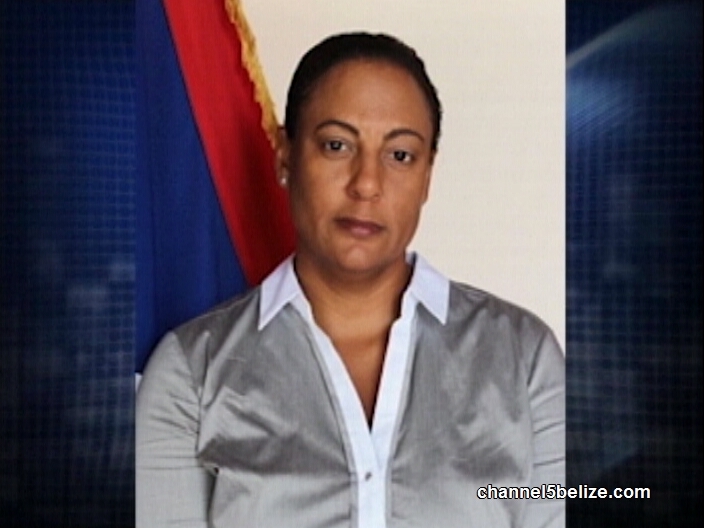 "It's a claim for the return of funds that she has paid to developers in the development commonly referred to as the Belize reserve which is owned by Sittee River wildlife reserve. Today what has transpired is that the matter was adjourned to give the defendants an opportunity and time to provide us with information as to what's occurring on the larger scale in the US and what's the situation on the ground with respect to the development." "Your client, shouldn't they have a legitimate concern that whatever reward is given or whatever the court awards, everything is frozen. All the assets are related to Sanctuary Belize are frozen." "Yes, and this is the concern that we have. That's what was brought to the attention of the court today as a result we asked for an adjournment to give the defendants time to bring more information to us as to what is transpiring in respect to their works and their development and their accounts." "Did the government drop the ball in relation to ensuring that all the procedures were followed and doing their diligence so that people would not be duked?" "Again, I can't speak on behalf of the government or their actions to what all they have done. I don't know if they have done anything. It is a situation where the clients are a bit upset about the whole transaction but that's mainly against the developers." We know that there were complaints to the Lands Department and even the DPP's office about the Sanctuary Belize scam. 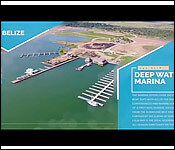 Perrera has pointed out in court that the company also ran afoul of Central Bank regulations in conducting land transactions and sending the sales revenue back to the US:..
"The situation is that central bank requires that all funds in respect to purchasing of a property, be paid into a Belize dollar account here in the country of Belize. Unfortunately, what we have happening is that quite a number of these developments have funds be paid over a period of time like those instalment payments and they are having these instalment payments being made to the US. Now it becomes a problem when you have a situation where you have a local company selling to a foreign national because that requires permission from central bank for the transfer to take place. However, for these types of developments that have been collecting monthly payments for the past 2 years, those buyers have great difficulty getting their title because when they go to central bank they can't prove that all the funds for the purchase including the instalment payments were being paid into a Belize dollar account." LISSETTE STAINES, An attorney from Barrow and Williams represented Sanctuary Belize in Court today. 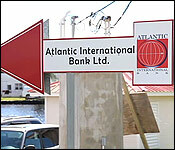 Atlantic International Bank says it did nothing wrong. The Offshore Bank has been named in a civil compliant from the Federal Trade Commission in the United States. Last week, the FTC asked a Federal District Court to shut down a real estate scam called Sanctuary Belize. 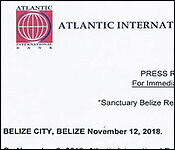 The FTC says Atlantic International, assisted and facilitated in the Telemarketing Sales Rules violations (for Sanctuary Belize)…and that the offshore bank knew, or reasonably should have known, that its acts in furtherance of its unlawful coordination with Sanctuary Belize… substantially affect the United States." Well, in a statement issued today, Atlantic International, says, quote, "The Board of Directors and Management of AIBL deny any allegation of wrongdoing by AIBL. AIBL enjoys a record as a good corporate citizen and trusted partner to its primarily non - resident customer base. AIBL has worked tirelessly to develop its reputation as a sound and responsible partner in Belize development….AIBL reserves all of its rights and will defend its customers and its interests as it did not engage in wrongdoing." The release notes that AIBL has retained attorneys in Belize and the US. The Atlantic Domestic Bank - which is separate and apart from Atlantic International- says it has absolutely no ownership links with Atlantic International since 2011. And while that is the story of just one Sanctuary Belize investor - there are as many as three thousand others who have invested much more money. 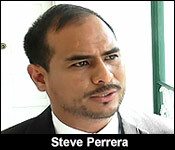 Perrera also sued on behalf of another client last year. His client won - but has not gotten paid and has had to go to court to seek enforcement. And while that is only a small part of the fallout from Sanctuary Belize - another is that the US accounts of Atlantic International Bank have been frozen. Perrera says that could affect local attorneys who use AIBL for escrow accounts:..
"As attorney, what we do utilized at times for escrow services we utilized US dollars accounts at the international banks as well as the local banks." "What you are saying is that some of the monies that come to Belize law firms would be mired up in what's being frozen at this time?" "I wouldn't be able to speak on whether or not that's the case. It's possible likely, yes." We’ve been reporting on the Sanctuary Belize situation for days now. That’s the real estate scam based in southern Belize which has defrauded scores of US investors. The Federal Trade Commission in the US shut it down - after it named that company and two dozen others in a civil complaint. But the collateral damage and contamination n Belize is significant. We’ve already discussed the effect on Atlantic Internal Bank, but it goes even deeper. One of the related companies named in the complaint is a non profit NGO called Sittee River Wildlife Preserve. As we understand it this not for profit holds the 14,000 acres of land where the development was supposed to be based. Documents coming to the for earlier this week show that the documents for Sittee were prepared by the Prime Minister’s law firm, Barrow and Williams in 2003, and PUP Senator Valerie Woods was listed as a director. Today, Woods who is in the Ukraine told us via telephone that she resigned in 2016 from what she thought was a non functioning NGO:..
"15 years ago I was approached by Ms. Joan Medhurst, if I would consider being a member of the Sittee River wildlife reserve. As you may recall, Ms. Medhurst was one of Belize's chief public relations person promoting as a tourist destination, I knew her from the time I worked at the BTB. I had no reason doubt any intention of what she was proposing. I had never been informed of any meeting, activity, decision, anything having to do with the NGO Sittee River wildlife reserve. In fact I never knew if it was even a functioning board or reserve. I heard nothing literally until February 2016 when the management of the reserve told me I'm listed on the registry of directors members, it came as a complete surprise and I immediately said to them I find that incredible, so I immediately sent in my resignation and that was from February 2016." "Were you aware that this enterprise was already the staging ground for very ruthless and elaborate real estate scam?" "No, I had no knowledge of anything with this." "Is it something that concerns you, in so far as that your name is associated with one of the groups that are named in this civil complaint?" "It is concerning to me if my name is still listed as a director because I knew I had resigned." "Had you ever met Mr. Andris Pukke and Mr. Pukke is referred to by the FCT as a recidivist scammer, that means he's a serial scammer. How alarmed are you to know that your name was fixed to a paper with someone who had a long track record of this sort of behaviour?" "On a scale of 1 to 10, it would be pass 10 Jules, I don't take this lightly and so I am very disgruntled and I'm upset and I am alarmed. It really is disgusting to know that your name is even associated with something as sinister that has been displayed on the news when you had nothing to do with that." And while Woods resigned in 2016, up until earlier this week - an attorney from Barrow and Williams was representing the Sittee River Wildlife Reserve in the Supreme Court. Senator Valerie Woods is away in Ukraine attending a meeting of Parliamentarians for Global Action, but when her name began circulating earlier today, in respect of a scam involving the Sittee River Wildlife Reserve, she found it necessary to come forward and clear her name. 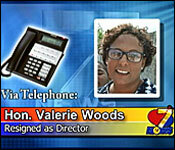 Woods, who was employed at the Belize Tourism Board in 2003 when the organization was formed, was named as a member of Sittee River Wildlife’s board of directors. She told News Five today that for many years she was under the belief that the organization was defunct, since she was never called in for a meeting, nor was she sent minutes of any previous sessions. In fact, she says that when she learned that the organization was still active, she tendered her resignation via email in February 2017. Here’s her version of events. In 2017, a multimillion dollar investment was supposed to give way to a world-class tourism development in Belize, but the Puerto Azul project turned out to be nothing more than Ponzi scheme. More than two hundred private investors were jilted out of millions of dollars and Belize was at the center of it. Sounds familiar? That’s because the latest scam to hit Belize, leaving black and bruised eye, is the Sanctuary Bay multimillion dollar real estate scam. And again, Belize is at the center of it. 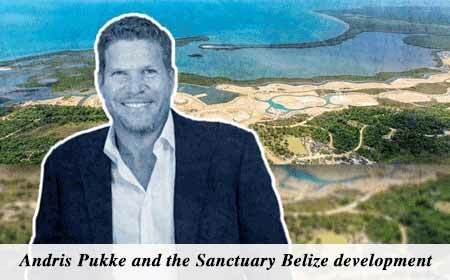 According to the Federal Trade Commission, Andres Pukke and his associates are accused of duping investors into buying Sanctuary Belize lots by falsely promising that the development would include luxury amenities and that the property would be completed soon. It has been fifteen years and the project is far from completion. In fact, the F.T.C. reported that Pukke needs about five hundred million more dollars for the project to be realized. After being revealed as one of the biggest real estate scam that the F.T.C. has uncovered, several international news agencies such as the Washington Post have picked up and reported on the story. It’s an international public relations nightmare for the government which has discussed the issue, according to Cabinet Minister Manuel Heredia Junior. …and while we wait to hear from Prime Minister Barrow, former Prime Minister Said Musa has weighed in on the matter. Musa, who is also a seasoned attorney, has been to Sittee River Wildlife Reserve on a site visit, not as a government official but in the capacity as a lawyer. According to Musa, he represented a client who was suing the owners. And as far as the scam goes, Musa says it is not something that would have been obvious to someone in Belize. 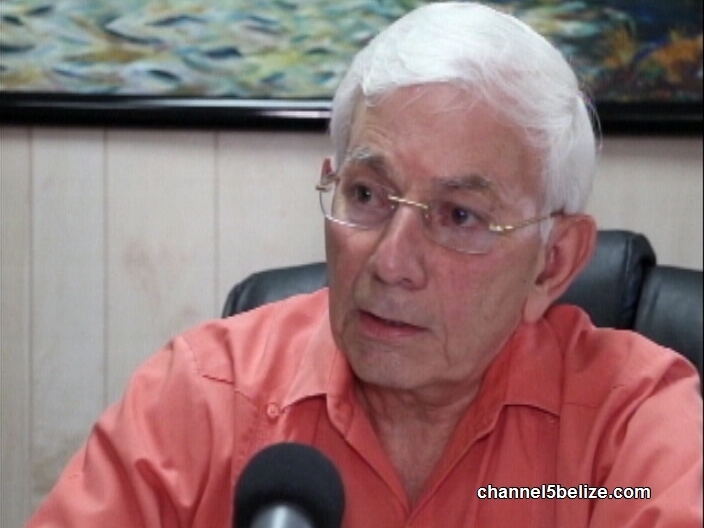 “Do you believe that hurts Belize’s image internationally? Atlantic International Bank (AIB), an offshore institution, was cited in a in a civil complaint from the Federal Trade Commission in the United States. The Trade Commission requested a US Federal District Court to shut down a real estate scam called Sanctuary Belize which siphoned millions of dollars from North Americans who wished to build homes in Belize. The properties involved are on the Sittee River Wildlife Preserve, a privately owned company which had some legal representation by Prime Minister Dean Barrow’s Law firm. Barrow denies that there is anything wrong done by the law firm with representing the company and believes that it is unfortunate that Atlantic International was named in the suit. After today’s House Sitting, PM Barrow told the media he does not believe it will have any effect on the banking system in Belize. Honorable Prime Minister Dean Barrow: The contract between themselves and SB had been breached and prepared therefore to sue for the recovery of their money. If they actually alleged criminal fraud then that’s a different matter but just on the basis of the material that I saw which constituted the complaint of the FTC it was certainly according to the judgment of the authorities in the states and we know those people don’t play. It wasn’t a question of criminal fraud as much as the kind of fraudulent misrepresentation which grounds civil liability and for which damages would be recoverable. Of course it is unpleasant that our country’s name should be called in this context. It is even more unpleasant that apart from these companies registered here but in relation to which we all know the moving forces are foreign. It is extremely worrying that Atlantic International Bank Ltd should have been named but there it is. I can do no more than repeat that as far as we can tell and the Central Bank has checked and continues to check there is no risk of any kind of infection with regard to the rest of the Banking system with regard to the financial system in this country. It is on the face of it limited entirely to AIBL and with respect to the evidence or the alleged evidence that I saw in the complaint I would hope and believe that AIBL will be able to work through this. Belize Telemedia Limited had received a loan from Atlantic International Bank. PM Barrow says that Telemedia is not affected in any way and the funds had already been drawn out by Telemedia. Belize, it appears, is suffering major international embarrassment after the Sanctuary Belize real estate scam was exposed by the United States’ Federal Trade Commission (FTC) and the story took on a life of its own when it was picked up by several US mainstream media outlets. On Tuesday, Minister of Tourism, Manuel Heredia, Jr., said that Prime Minister Dean Barrow will most likely call a press conference to express government’s position on the matter. The private real estate investment scheme that was advertised as “Sanctuary Belize”, which has bilked scores of United States citizens out of millions of dollars, and which the US Federal Trade Commission (FTC) had to close down on Thursday, November 8, after its investigation revealed that it was a scam, will be discussed by Prime Minister Dean Barrow at a press conference which has not yet been scheduled, Minister of Tourism Manuel Heredia, Jr., announced on Tuesday. Sanctuary Belize, which also was marketed under other names, one of these being “Sittee River Wildlife Reserve,” has been listed by the FTC as the biggest real estate fraud it has uncovered in its history, and for the first time, an international bank has been named in court papers that the FTC has filed on behalf of around two dozen complainants in the US. The scam has also spawned lawsuits in Belize’s jurisdiction from jilted investors. 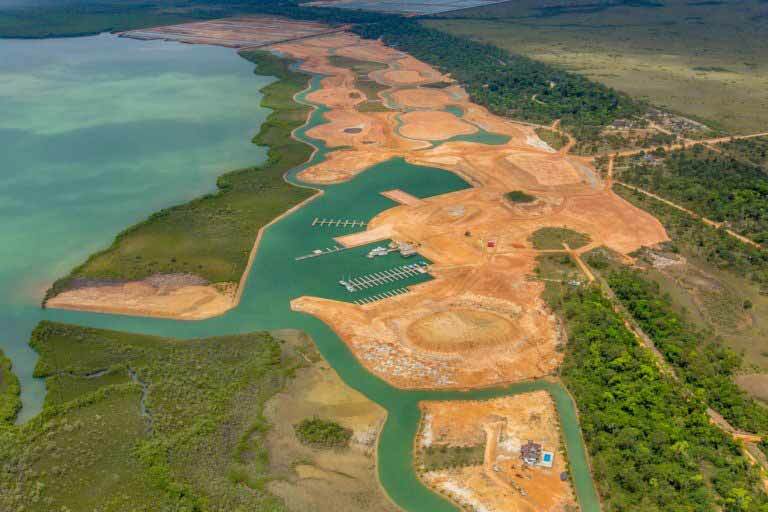 The dream homes that the Sanctuary Belize investment in southern Belize promised to its investors turned out to be a nightmare, resembling the 2017 failed Puerto Azul project in which investors were conned out of millions of dollars. The man behind the Sanctuary Belize scam is Andres Pukke, a repeat violator of FCC rules and regulations, who is a felon who operated his scam from behind prison walls in the US. After coming on stream about 15 years ago, Sanctuary Belize is in need of about 500 million dollars, the FTC estimated. 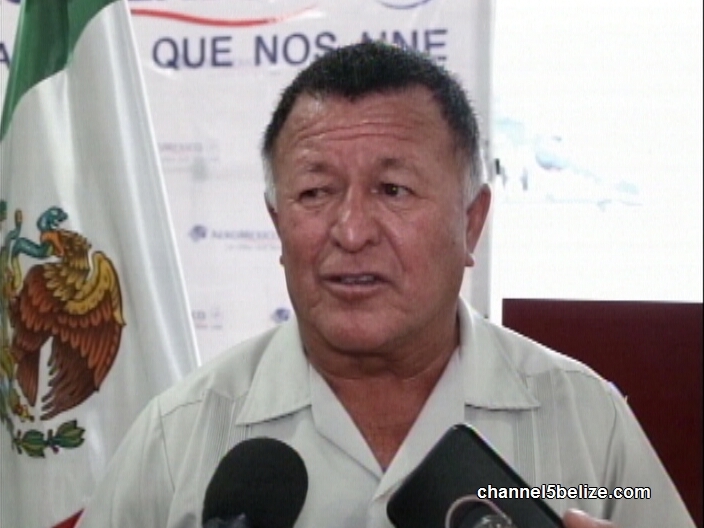 Minister Heredia was asked if the Cabinet has discussed Sanctuary Belize. “Yes, I believe that the Prime Minister was supposed to have done a press conference, or is about to do a press conference, I think this week, in regards to what Central Bank is doing, what government is doing. I am sure he will have a press conference shortly to tell the Belizean people where we are, what we are doing and what we think should be done,” said Minister Heredia. On Tuesday, Minister of Tourism Manuel Heredia, Jr. told the media that Prime Minister Dean Barrow would shortly hold a press conference to address the Sanctuary Belize real estate scam that was shut down by the US Federal Trade Commission, but speaking to reporters today, Barrow clearly expressed that he did not want to talk about that subject. “A wise fellow once said, silence may be misunderstood, but it can never be misquoted,” the PM said. That has been the position adopted by the government and the Belize Central Bank. The PM expressed the hope that Atlantic Bank International would be able to work through the difficulties with the US federal agency. “Atlantic Bank International has a stellar reputation and all Belizeans should wish the bank well”, Barrow offered. Amandala has learned that a United States judge in the District Court of Maryland has extended the temporary restraining order and interim preliminary injunction set down in regards to this matter earlier. Steve Rhodes, in an internet story at https://getoutofdebt.org, said that court control over Sanctuary Belize was extended “through at least February 2019” on the discovery of new evidence. “The document damningly says, ‘The FTC and the Receiver entered the defendants” business premises on November 7, 2018, and found new evidence of the FTC’s allegations and significant corroboration, including documents showing the relevant individuals had the roles identified by the FTC in its pleadings and telemarketing scripts showing the defendants were making the relevant claims to consumers’,” Rhodes reported in his online story. A number of business entities are listed under the restraining order. They are: AndrisPukke, Luke Chadwick, John Usher, Rod Kazazi, Brandi Greenfield, Frank Costanzo. and Defendants Global Property Alliance, Inc.. Sittee River Wildlife Reserve, Buy Belize LLC, Buy International, Inc., Foundation Development Management, Inc., Eco-Futures Development, Eco-Futures Belize Limited, Power Haus Marketing, Sanctuary Belize Property Owners’ Association, Prodigy Management Group LLC, Foundation Partners, BG Marketing, LLC, Ecological Fox., LLC, Belize Real Estate Affiliates LLC, Exotic Investor LLC, Southern Belize Realty LLC. (collectively, the “Sanctuary Belize Enterprise*” or “SBE”), and Atlantic International Bank Ltd.; and relief defendants Angela Chittenden, Beach Bunny Holdings, LLC, the Estate of John Pukke, John Vipulis, and Deborah Connelly.